Dr. Merete Haedersdal is a dermatologist and associate clinical professor of dermatology at the University of Copenhagen, Denmark. 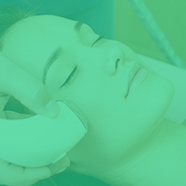 She directs the Laser Dermatology Clinic at Bispebjerg University Hospital in Copenhagen. Currently Dr. Haedersdal is a visiting associate professor at the Wellman Center for Photomedicine, Massachusetts General Hospital, Harvard Medical School focusing on laser-assisted drug delivery together with Dr. R. Rox Andersons team. She received her M.D. degree from the Medical School program of the university of Copenhagen, Denmark and she was authorised as a specialist in dermato-venereology in 2004. Dr. Haedersdal received her Ph.D degree in 1997 and became Dr. of Medical Science in 1999 from university of Copenhagen. Her theses cover different aspects of side effects from dermatological laser procedures in murine and human experiments. Dr. Haedersdal is consultant for the National Board of Health in Denmark and she has actively been involved in the Danish legislation about safety in aesthetic procedures with lasers, IPL systems and related technologies. Her research interests include laser therapy in dermatology, photodynamic therapy, skin cancer, and evidence-based treatments with light-emitting devices.